In a bid to make the DStv installation process seamless for customers, MultiChoice Nigeria, pay TV provider, has launched an app installers. The DStv Installer App is a management tool for assigning, monitoring, reviewing, troubleshooting, and managing customer installations to ensure quality installation and better accountability. The benefits of the DStv installer app also include an improved business process which reduces the manual operation of assigning an installer, tracking the installation and managing the installer. This in turn ensures reduced operational costs for the dealer, whilst also giving them the power to review and ensure all installations are done properly, and simultaneously guaranteeing a better customer experience. The installer app joins other innovative means and platforms through which customers are aided with the DStv installation process. 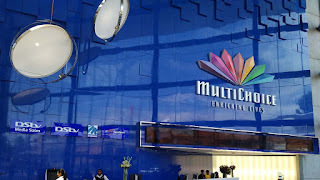 These include the DStv website www.dstv.com, and the DStv easy self-service platformwww.eazy.dstv.com which gives you the ability to clear error codes, pay for your subscription, find a DStv installer and upgrade or change your package, all from the comfort of your home.